GRAND JUNCTION, CO--(Marketwired - October 28, 2014) - Dr. Eric Benefield, who offers affordable dental implants at his practice Grand Dental, recently recorded a 30-minute interview for "The Wellness Hour," a popular television program that regularly features leaders in healthcare. In the segment hosted by The Wellness Hour Inc. CEO Randy Alvarez, Dr. Benefield discusses the benefits of dental implants for patients who are living with uncomfortable removable dentures. The show segment is entitled, "No More Dentures." "The Wellness Hour" has hosted some the biggest names in healthcare and even New York Times bestselling authors. Dr. Benefield explains in the segment the cosmetic and health benefits of switching from slippery removable dentures to implant-supported dentures. At Grand Dental, Dr. Benefield can provide patients with permanent, non-removable teeth by placing All On Four dental implants or convert traditional dentures to implant-supported dentures. "This program answers a lot questions about the different types of dental implants and dentures," said Dr. Benefield, who offers Grand Junction teeth in a day. "I've always been amazed by how people in our community are living with uncomfortable dentures. Our goal is to provide solutions that can improve the patient's quality of life and to restore their chewing ability so they can enjoy the foods they love." Clips from Dr. Benefield's appearance on "The Wellness Hour" can be viewed at www.wellnesshour.com or on Dr. Benefield's website www.mygranddental.com. Grand Dental is a comprehensive dental clinic that offers restorative dentistry, periodontal therapy, preventive dentistry, sedation dentistry and cosmetic dental treatment. Under one roof, the practice provides crowns and bridges, fillings, dental cosmetic bonding, extractions, wisdom teeth extractions, root canals, periodontal surgeries, professional teeth whitening, full mouth dental implants, same day dental implants, Diagnodent, Invisalign, dentures and bone grafts. The clinic also provides safe amalgam removal and CEREC, a same-day porcelain restoration treatment. Dr. Benefield is a Grand Junction native who attended Scenic Elementary, Orchard Mesa Middle School and Fruita Monument High School. He completed his undergraduate studies at Utah Valley University and then graduated valedictorian in 2003 at University of the Pacific School of Dentistry, receiving the Garrett M. Guess Valedictorian Award and then the Alpha Omega Award for highest overall grade-point average. He also received the Herbert K. Yee Award and M. Roscoe Mcdowell Award for academic achievement and was member of the Phi Kappa Phi Honor Society, Tao Kappa Omega Honor Society, Omicron Kappa Upsilon Honor Society. After graduating dental school, Dr. Benefield served as a dentist in the U.S. Army for three years at Fort Polk, La. The service gave him experience in dental surgeries such as root canals and he was able to train with oral surgeons, periodontists and endodontists. After the military, Dr. Benefield owned a dental office in Phoenix, Az., for several years. For the past 10 years, he has taken continuing education courses in order to expand his services in areas such as sedation dentistry, dentures, mini dental implants, dental implants, cosmetic dental work and Invisalign. In addition to his dental service, Dr. Benefield believes in supporting his community. The practice donates $1,900 every month to the elementary schools in the Grand Junction school district, School District 51. He also serves the community through the local Rotary Club. Dr. Jonathan Benefield, Dr. Eric Benefield's brother, joined the practice in August, allowing the office to open its doors on weekends while continuing to focus on emergency and comprehensive dental care. 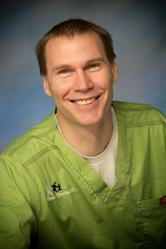 Dr. Jonathan Benefield is a 2013 graduate of the University of the Pacific School of Dentistry. By adding Friday and Saturday hours, both 8 a.m. to 4 p.m., Grand Dental is now open six days a week. The change has increased appointment options for working families unable to take off work for their dental checkups or procedures. To learn more about teeth whitening costs or what is a mini dental implant, contact the Grand Dental office at 970-315-3718, or visit the website at www.MyGrandDental.com to view pictures of dental implants. Dr. Eric Benefield, who offers affordable dental implants at his practice Grand Dental, recently recorded a 30-minute interview for "The Wellness Hour," a popular television program that regularly features leaders in healthcare. In the segment hosted by The Wellness Hour Inc. CEO Randy Alvarez, Dr. Benefield discusses the benefits of dental implants for patients who are living with uncomfortable removable dentures. The show segment is entitled, "No More Dentures." "The Wellness Hour" has hosted some the biggest names in healthcare and even New York Times bestselling authors. Dr. Benefield explains in the segment the cosmetic and health benefits of switching from slippery removable dentures to implant-supported dentures or permanent teeth. Dr. Eric Benefield is a Grand Junction native who completed his undergraduate studies at Utah Valley University and then graduated valedictorian in 2003 at University of the Pacific School of Dentistry. Grand Dental is a comprehensive dental clinic that offers periodontal therapy, crowns and bridges, dental implant placement and restoration, fillings, extractions, wisdom teeth extractions, root canals, periodontal surgeries, cosmetic dentistry, sedation dentistry, professional teeth whitening, full-mouth reconstructions, Diagnodent, Invisalign, dentures and bone grafts. The clinic also provides safe amalgam removal and CEREC, a same-day porcelain restoration treatment.